Karen Ellyard - Spiritual Books, Reiki. Gold Coast, Australia. My brother in-law Lawrence Ellyard is a Reiki Instructor and Author. The following books are excellent resources which I have found to be very useful for those learning Reiki, please click on each title for a synopsis. These are beneficial for those who have attended Reiki training courses or are interested in doing so. 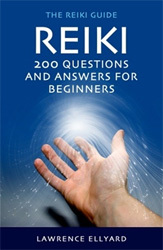 Reiki Meditations for Beginners offers for the first time a practical guide to the practice of Meditation and Reiki. It provides the reader with the practical ‘know how’ and teaches the basics of meditation practice combined with an introduction to Reiki. The book is divided into three sections which include: An introduction to Reiki, an introduction to Meditation practice and section three includes a total of 25 Reiki Meditations. The book also features a guided Meditation CD narrated by the author who presents ‘real time’ Japanese Reiki Meditations. Reiki Meditations for Beginners is a complete guide to the practice of meditation and shows how these two practices are in fact an integral experience for anyone wishing to cultivate inner peace and happiness in daily life. Far from being abstract ideas, the methods presented in this book, makes meditation readily accessible for the reader, whether they are a complete novice or seasoned practitioner. Now you can learn the essential teachings of Reiki. This complete manual, in conjunction with traditional training, is an excellent guide to understanding Reiki and its spiritual practices that heal the body and mind. Revealing for the first time, many of the original Reiki secrets, this book sheds new light on such topics as: the Reiki Attunements, Reiki Symbols, the Chakra System and Absent Healing. Find here all the information you need to become a teacher of Reiki. Learn how to run classes with all the practical skills you need to teach and embody the spiritual path of Reiki. The Ultimate Reiki Guide offers you down to earth advice on giving Reiki treatments, the kind of information you need to reach as many people as possible and how you can still manage to pay the bills at the end of the day. All the advice outlined here can be utilised by any healthcare practitioner with exceptional results. These tried and tested tools for marketing ones' business not only work well, they guarantee increases in clientele and margins. Whether a seasoned practitioner, or just starting out, The Ultimate Guide will show you how to truly walk the Reiki path with humility, healing and wisdom. 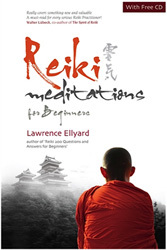 "In this excellent volume, Lawrence Ellyard brings together his considerable expertise and experience to provide a clear and concise view of how to conduct Reiki and to establish oneself as a Reiki practitioner. In the course of this, Reiki is demystified and presented in a lucid and easily comprehensible form, dispensing with misleading and unhelpful beliefs about the modality. 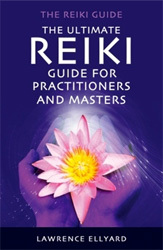 It will be invaluable for all Reiki professionals and lay persons as a spiritual, practice and business guide. This is a fine contribution to the field of complementary health-care." "Everything you will ever need to know about setting up a professional, successful and rewarding Reiki practice, from working with clients to teaching Reiki yourself. Lawrence's clear love of his subject and his years of experience in working with Reiki combine to make this a book that every serious Reiki professional should have. A well researched and utterly indispensable resource for anyone involved with this healing system. Highly recommended."